Make-A-Wish offers organisations a range of unique and unforgettable opportunities to make the impossible possible. Explore how your business can get involved and get in touch if you'd like to align your brand with one of Australia's most inspirational charities. Wishes at Work makes it easy for organisations and employees to make a life-changing difference, together. To learn more, call our Partnerships team on 1800 032 260 or get in touch above. When you give $5 through a matched workplace giving program, it only costs you $3.50*, your employer matches your $5, and Make-A-Wish receives $10. That's the power of matched workplace giving! *Example applies the marginal tax-rate for employees earning between $37,001 and $90,000pa at 1 March 2019. Excludes Medicare levy. To tailor a Corporate Volunteering opportunity for your organisation, call our Partnerships team on 1800 032 260 or get in touch above. AustBrokers Countrywide are grateful to share a strong partnership with all the lovely people at Make-A-Wish. 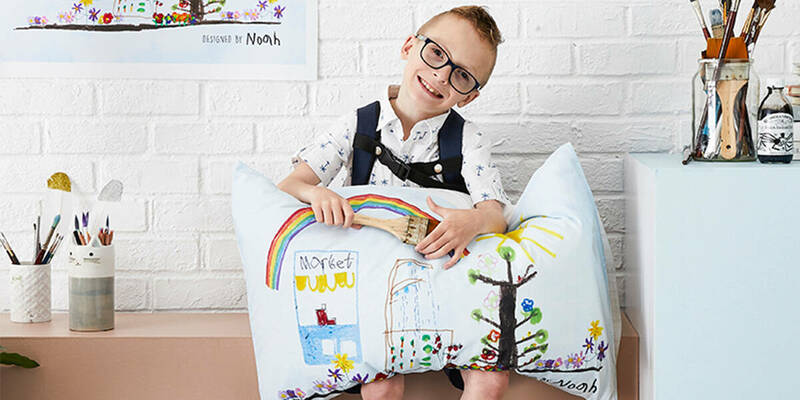 Cause-related marketing is one of our favourite forms of corporate partnership, with every new partner and campaign finding fresh ways to make wishes come true! Some of our recent collaborations have been with Gordon Frost Organisation (producers of the sensational musical Charlie & The Chocolate Factory), Seed Heritage, Decjuba, Francesca Collections and sass & bide - to name just a few! 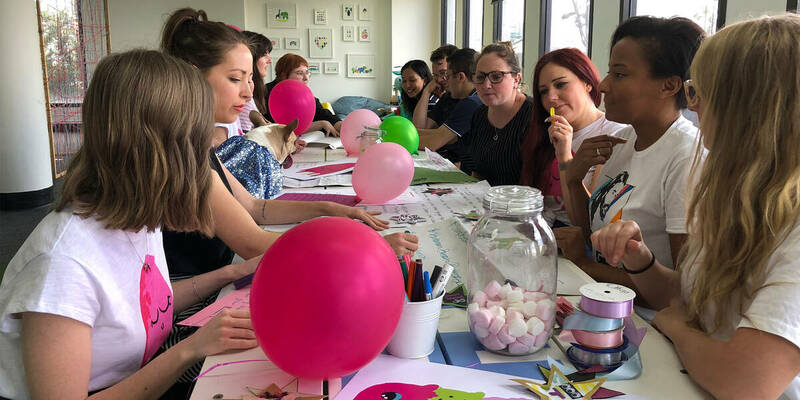 See our gallery for inspiration, and if you'd like to partner with one of Australia's most trusted charities, please get in touch with our Partnerships team. If you're inspired to get involved and give back as part of your CSR program, call our Partnerships team on 1800 032 260. Or get in touch online and we’ll call you back! If it takes a village to raise a child, we think it's fair to say it takes an army (at times!) to pull off a child's life-changing wish. That's why we love businesses who choose to support us in kind, giving their products, services and many acts of kindness to make wishes come true. For example, our Major Partner Qantas provides an annual allocation for flights, helping reduce costs for wish family travel and allowing us to bring more wishes to life! Please see Gifts in kind for more info about our policy and the types of gifts we can accept. Raising money with your customers and co-workers isn’t only a good way to help – it’s great for business! Whether you get the team together for a morning tea (or bake-off), or take the challenge outside the office (with a golf day or fun run), our team has got your back. Wear What You Wish - a dress up day with a difference. Bake A Wish - a simply delicious way to fundraise. With a range of physical challenges and events across Australia, there are lots of ways you can support Make-A-Wish and bring more wishes to life. Explore, sign up and take part in a local event near you - or get in touch with us to discuss event-based volunteering opportunities for your team. Wishes simply couldn't come true without the generous support of Australian people and businesses. Every dollar counts, and helps bring more wishes to life for sick kids and teens around the country. See ways to give here and get in touch if you'd like to discuss your donation with us.